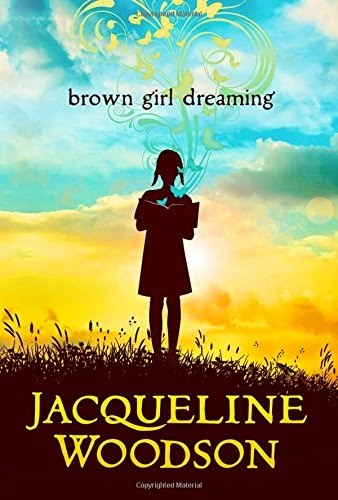 Growing up in both South Carolina and New York as an African American in the 1960s, Jacqueline Woodson had a unique experience as a child. This memoir delivers her evolving perspective of her two homes as she became aware of segregation and bigotry, as well as the growing Civil Rights Movement. But also, it is a journey of self-discovery; she learns to express herself through the telling of stories, and through writing, as she faces challenges and heartbreak. This expression, of course, is the reason she is giving this memoir. I don't even know why I'm reviewing this, when it is so clear everyone has the same review: this book is BEAUTIFUL. It is deeply personal, yet eloquent. The poetry is succinct, yet paints a vivid picture of each scene. If I could write, I wish it was like this. Woodson is able to communicate her memories in a way that appeals to both kids and adults: it's clear, emotional, and deeply moving. It incorporates national history with personal history in a fascinating way. I love it. I love this book and I want everyone to read it. On a completely biased standpoint, this era of American history is what I studied in college, so anything about that time is always a favorite of mine. But this...even more so. This is a perfect combination of my love of history and middle-grade books. So it's a winner in my mind. But on a totally non-biased standpoint, it very well may be the next Newbery. Complex poetry, historical insight, a personal memoir...this book will last through history. This is what our grandkids will be reading in school. I truly think so. Now go. Go and read it. And step into the shoes of an African American girl in the era of change.